Nothing says fantasy quite like the image of a dragon. And nothing says fantasy warrior like armor made from dragon scales. These Childrens Dragon Scale Bracers are just such an armor that recreates the jagged, layered look of dragon scales. These leather bracers consist of leather plates that are secured with leather lacing to the wearers arms. 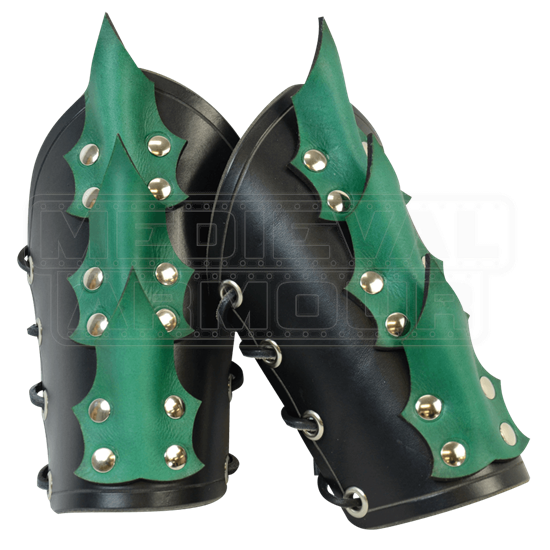 Just like our Childrens Dragon Scale Armor, these bracers also have flared, three-dimensional scales attached to create the look of jagged dragon scales along its wearers arms. Made from high quality 7/8 oz. leather, these bracers are both light in weight and comfortable to wear. 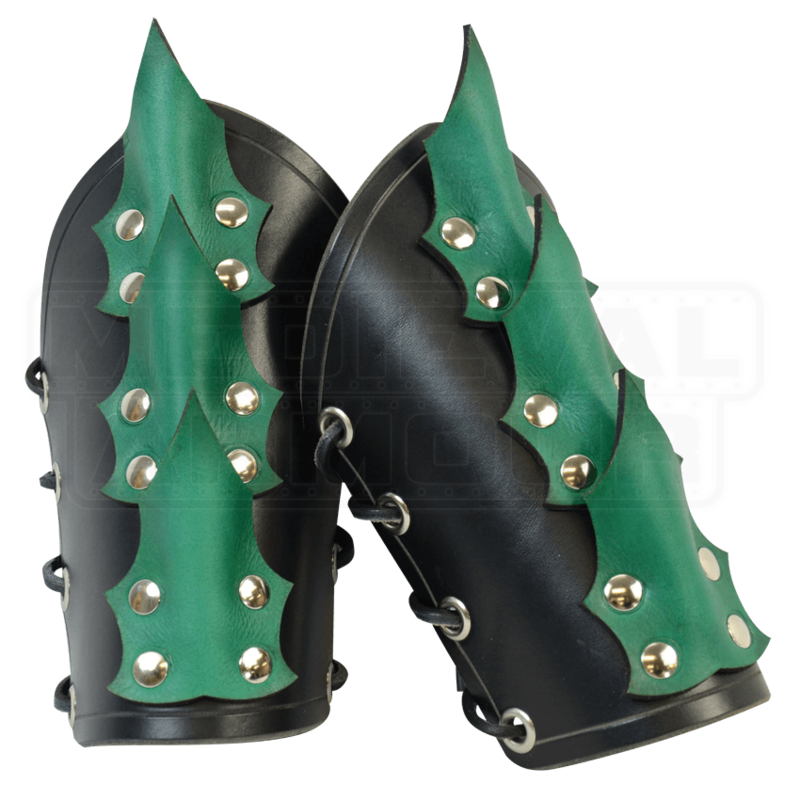 For the kid who loves fantasy and dragons, nothing will excite them more than giving them a pair of Childrens Dragon Scale Bracers to wear whenever they want! When ordering, the Color selection is for the color of the arm bracers. The Accent Color selection is for the color of the scales. The accent colors silver, gold, and pearl white are a metallic paint, rather than regular dyed leather.